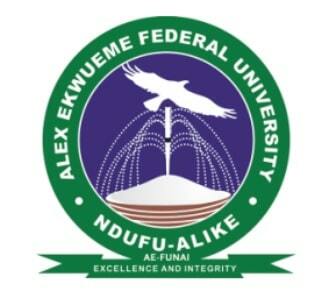 Alex Ekwueme Federal University Ndufu-Alike Ikwo, FUNAI Resumption Date for both freshers and returning students, 2018/2019 Academic Session has been announced. Following the suspension of the Academic Staff Union of Universities, ASUU nationwide strike, Alex Ekwueme Federal Univesity, Ndufu-Alike Ikwo (AE-FUNAI) management board has announced the date for the commencement of academic activities for the 2018/2019 academic session. 100L and 400L students of the AE-FUNAI are hereby instructed to resume on Monday, February, 11th 2019, while 200L and 3ooL students are to resume on Monday, 4th March, 2019.